0 registered members (), 480 guests, and 3 spiders. 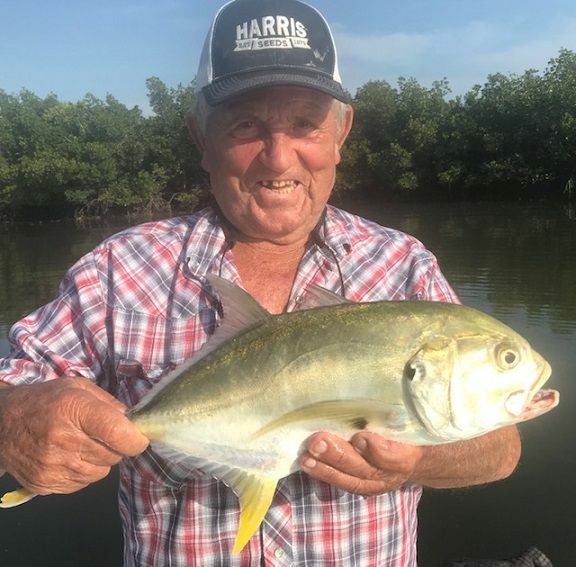 March has been stubbornly cool by central Florida standards with spring cold fronts coming through each week keeping our water clear and cool, big schools of Jack Crevalle have started to arrive in our waters making for fun fast easy rod bending. 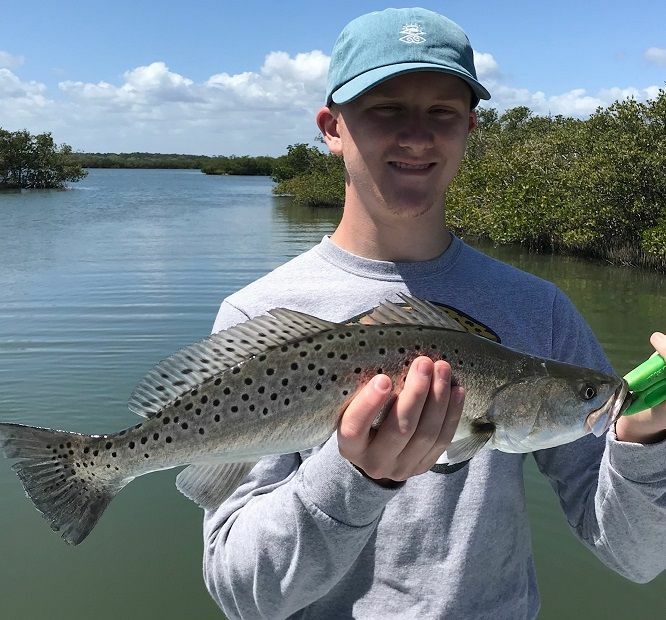 One last month of the spring pattern for the water and fishing style as we transition towards the early summer next month with warmer water and more summer fish species being caught. 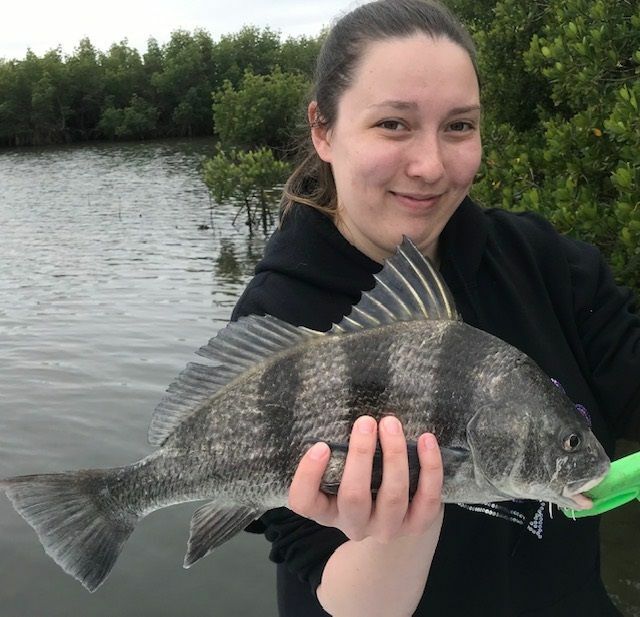 Summer patterns include more surface activity with fish eating and striking bait fish and shrimp on top in the mornings as well as getting out early again for first thing in the morning catching after the winter of later starts for better action. 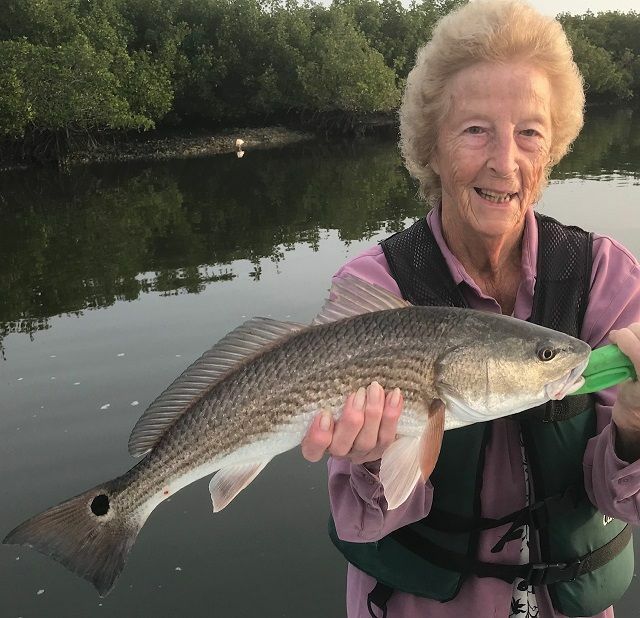 We are catching lots of different species on most trips, from the usual inshore game fish Seatrout, Black Drum, Bluefish, Jack Crevalle and Ladyfish, along with an occasional Redfish or Snook, also plenty of Mangrove Snapper, Sheepshead, Whiting, even a few Pompano, all these are great fun on my light spin tackle outfits. 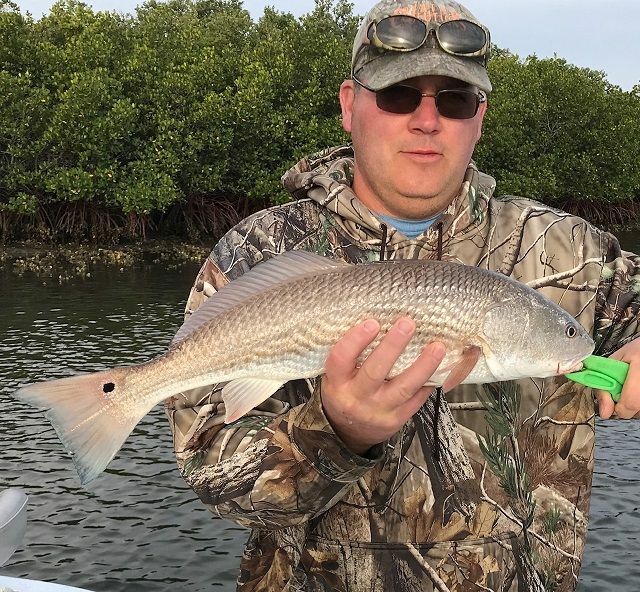 Tom from Michigan out on one of the recent cooler mornings catching a bunch of the usual species also caught and released a fun size Redfish off the edge of a mangrove and oyster lined edge………………. 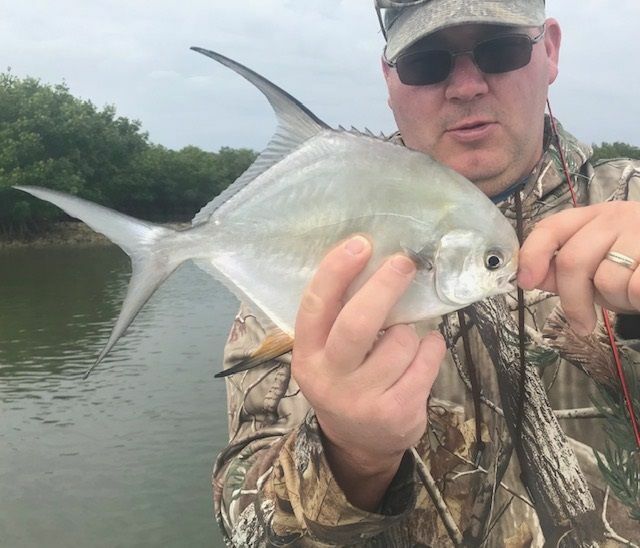 ………..and also landing an unusual fish for these parts being a small Permit, I have had several of these usually warm water tropical fish caught here during this winter and early spring……………..
………...and George got a photo size Jack Crevalle, we released all the fish on the trip to grow up and spawn to keep our fishery growing more fun fish to catch later……………. 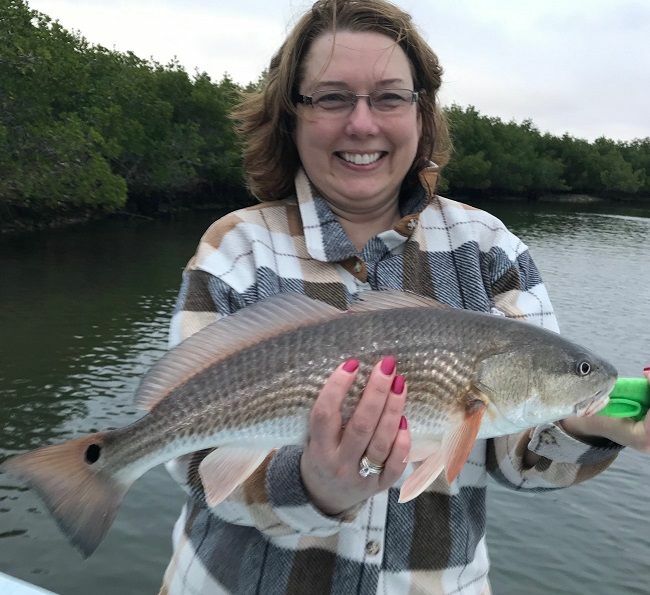 A family group from Illinois had a great time on a chilly late winter catching trip with CPR, catch photo release, the girls had the big fish of the trip, mom Margaret with a good Redfish……………..